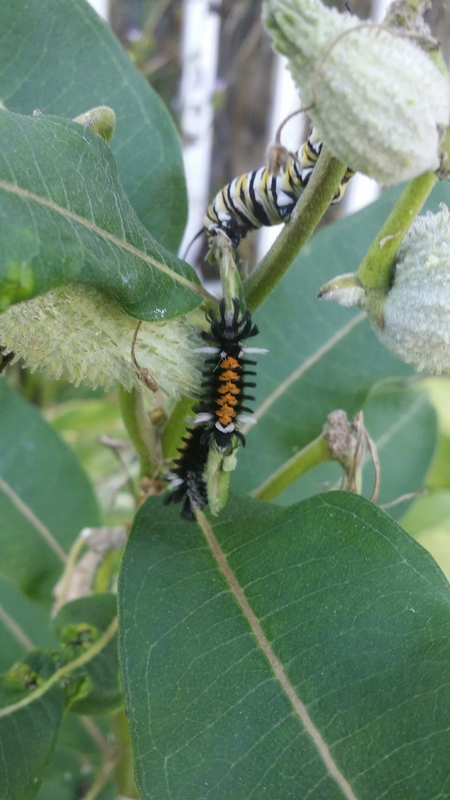 Look what’s on my milkweed plants! 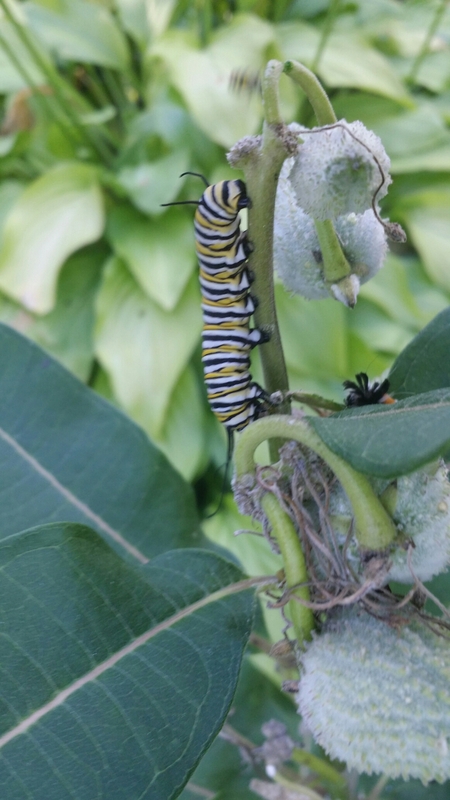 On further inspection of the plant, I also found a monarch caterpillar! This is so exciting to me! Last summer, I planted a bunch of wildflower seeds in the front flowerbed, and I noticed we had quite a few honeybees in the yard. Milkweed grew here and there up the driveway, and it appears it’s now spread up the hill to the house! This is THRILLING! The natural pollinators are all definitely increasing here, and I hope this continues! It can only mean good things for the farm! We have a lot of milkweed around our place. Since I am house bound, I think I’ll have my daughter do a little recon and see if she finds anything.